WiseGiving Advisors is dedicated to helping donors achieve their goals. Our belief is donors have a powerful role to play in civil society. Donors are not merely a provider of funds, but also an innovator, an advocate, a capacity-builder, and a convenor for stakeholders to gather together to address some of the most entrenched social issues. Our team has a decade of experience working for the most prominent donors in Hong Kong on a wide variety of social issues. We understand donors nowadays have high expectations of their giving. 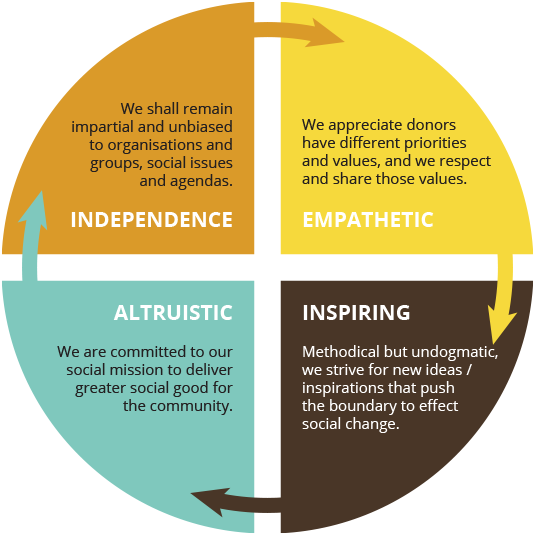 They want their giving to reflect their values, focus on critical issues, and have measurable impact. WiseGiving Advisors has the experience and knowledge to integrate multiple aspects to deliver innovative and powerful giving strategies. We enjoy charitable (Section 88) status with the Inland Revenue Department. 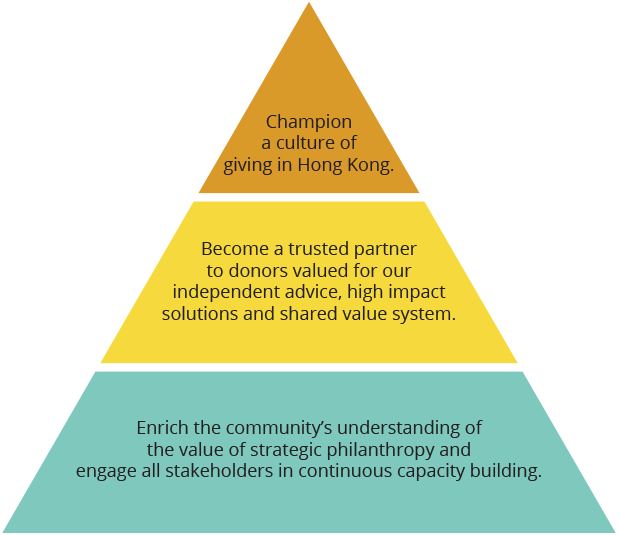 In partnership with The Philanthropic Initiative, a leader in strategic philanthropy advising, we aim to introduce international best practices to the local community – align values with a long-term giving strategy, good governance and succession planning to sustain family legacy and lasting impact. Executive Director & General Counsel, Winyard Hong Kong Group Ltd.